Jon Pettersen is an established Norwegian textile designer with an international network of premium production facilities, enabling him to serve clients including the Norwegian Prime Minister’s Residence and Oslo City Town Hall with exclusive textiles for interiors, clothing or accessories. His status as a designer-maker combines the artistic, visual elements of textile creation with the hands-on processes associated with technical developments and factory prototyping. In 2012, Pettersen was involved in the reproduction of textiles for the UN Security Council Hall, commissioned by the Norwegian Ministry of Foreign Affairs. In 2007, he received the Award for Design Excellence from the Norwegian Design Council. His work is part of the collection at the Museum of Applied Art in Bergen and the Art Museum of Northern Norway. He holds the position of Associate Professor at Bergen Academy of Art and Design, with a special expertise in Jacquard weaving. Pettersen presents two collections of products and prototypes at 100% Norway. Norway Cloth is a series of Jacquard-woven fabrics made for Norwegian company Varp & Veft. These are inspired by and named after the colours and textures of Norway’s coastal landscape, and woven from specially selected high-quality wool from the endangered indigenous Grey Trønder sheep breed. 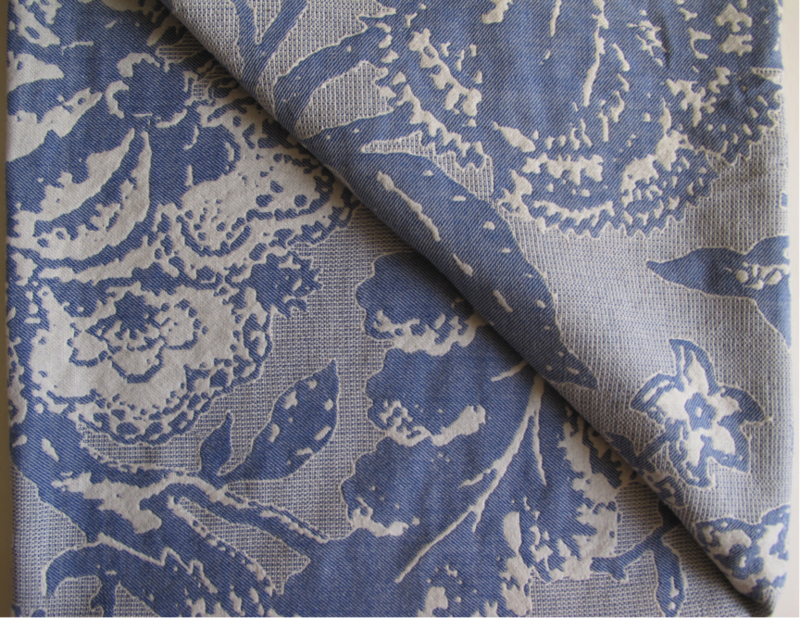 The fabrics are woven from hand-sorted raw wool in heathered greys and no chemicals are applied. The Jon Pettersen Collection consists of a number of prototype throws in natural silk, fine wool and a combination of the two fibres that have been developed in co-operation with producers in Norway and Thailand. 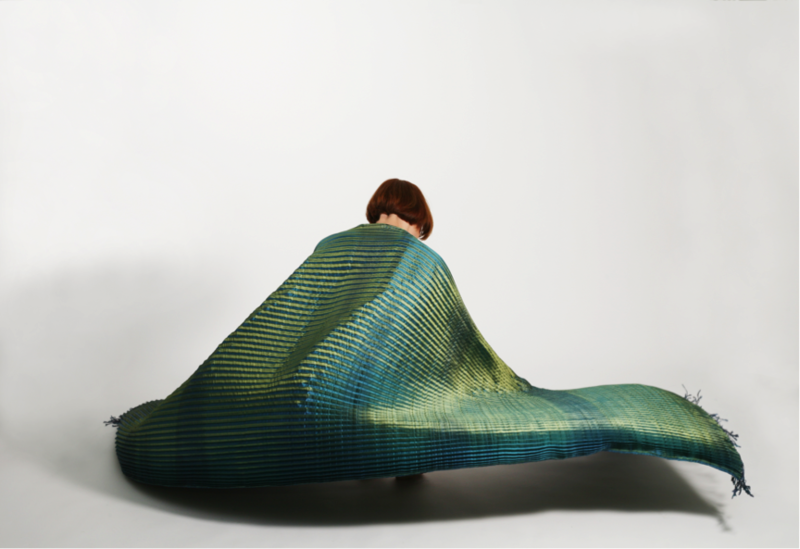 They are the result of a research-based project entitled ‘Throw: Textiles in Motion’, which aims to explore and push the context of textiles to its limits, finding new combinations, constructions, shapes and finishing methods. The collection is inspired by the history of textiles, incorporating elements and patterns from silk brocades, Scottish kilts, basic structures and pleated silk from last century luxury robes.